MotorcycleRaceTires.com is an exclusive distributor of Dunlop motorcycle road racing tires. The business was founded to bring the best possible shopping experience, and world class expertise of Dunlop motorcycle tires to any motorcycle track or street enthusiast who needs professional advice and top motorcycle tires in the world along with selectively chosen gear and apparel. We are the source for all Dunlop slicks motorcycle tires, Dunlop GP-A Pro DOT Race Tires, Dunlop Q3 Plus Sportmax tires, Dunlop Q4 Sportmax Tires, and Dunlop rain tires. We chose the best tire brand in the country and now we are working to make Dunlop NTEC, GP-a Pro track tires more accessible than ever before with FREE shipping with orders over $49.99, in store sales at 4594 North Hiatus Road, Sunrise, FL 33351 as well as support for all motorcycle track day and motorcycle racing events at race tracks including Homestead-Miami Speedway, Palm Beach International Raceway, Jennings GP, Daytona International Speedway, and Roebling Road Raceway. . Welcome to the family and we hope you enjoy your stay. Tony West has been a life-long motorcycle enthusiast. Starting with his neighbor’s Honda Z50, Tony got a taste for adrenaline and hasn’t stopped pursuing it. This passion has lead Tony to found multiple motorcycle organizations to give other riders an unmatched user experience. 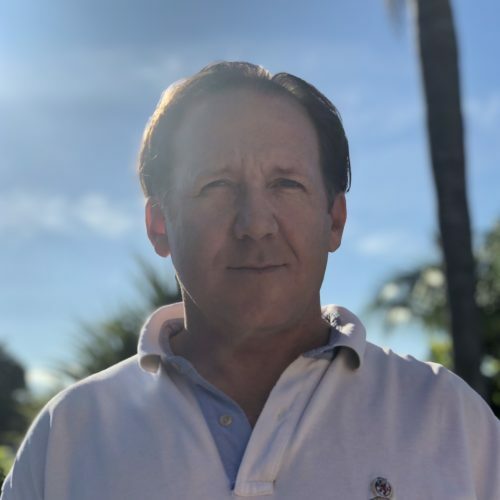 As the founder of Florida Trackdays (FTD) and co-founder of Florida Motorcycle Road Racing Association (FMRRA), Tony is one of the few managers of having the unique experience of building motorcycle motorsport organisations from the ground level. Using that perspective, Tony has helped to build those organizations into world-class motorcycle riding experiences. With the start of MotorcycleRaceTires.com, Tony’s aim is to continue to offer superior customer service and a world class buying experience. Randy Gloyd is a lifelong motorcycle enthusiast. He grew up on the East Coast of Florida riding dirt bikes. After graduating Melbourne High School he enlisted in the US Navy and served in Desert Storm. Upon the completion of a 6 year enlistment he attended Motorcycle Mechanics Institute (MMI) and has work in the motorcycle industry for over 25 years. 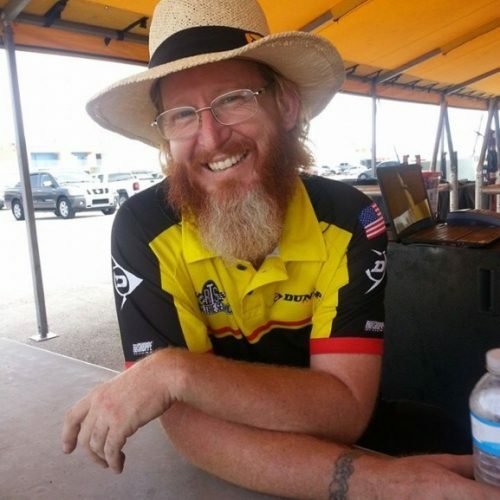 Over the last decade he has been providing Dunlop trackside service at AMA Pro, MotoAmerica, and MotoGPs races throughout the country. He was Race Tire Service’s Dunlop Florida Rep for CCS, WERA, and FMRRA Races held in the Florida Region. 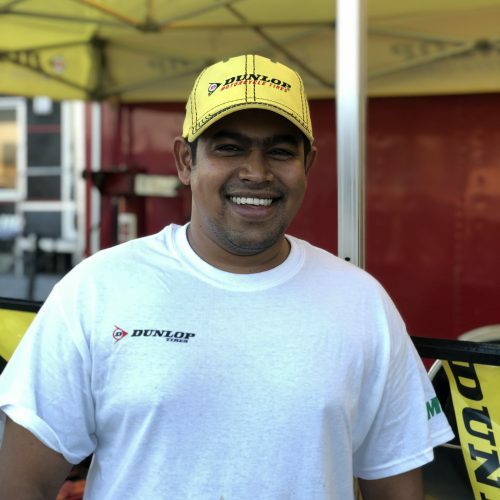 With a master’s degree in mechanical engineering, Arjun has always had a love for riding motorcycles as well as the mechanical aspects of what goes into motorcycle motorsports. Thankfully for John Boyd Dunlop Jr, his father, a veterinary surgeon familiar with making rubber devices, crafted some pneumatic or air-filled tires for his tricycle. John Boyd Dunlop later developed the tires for bicycle racing setting the foundation today for Dunlop Tires and the future success of Dunlop motorcycle racing tires. Dunlop has gone on to win endless championships on the local level, national and international level. Dunlop motorcycle tires have an unmatched record in supercross, motocross, flat track, road racing, and grand prix. Dunlop tires own more championships than all other brand combined. Dunlop Tires is headquartered in Buffalo, NY and has the only motorcycle tire manufacturing facility in the United States. Dunlop is also unmatched in their corporate dollar support of motorcycle activities in the US.